The Fed’s Report then goes on to compare the FOMC’s settings for the federal funds rate with the rules as summarized in the next chart. 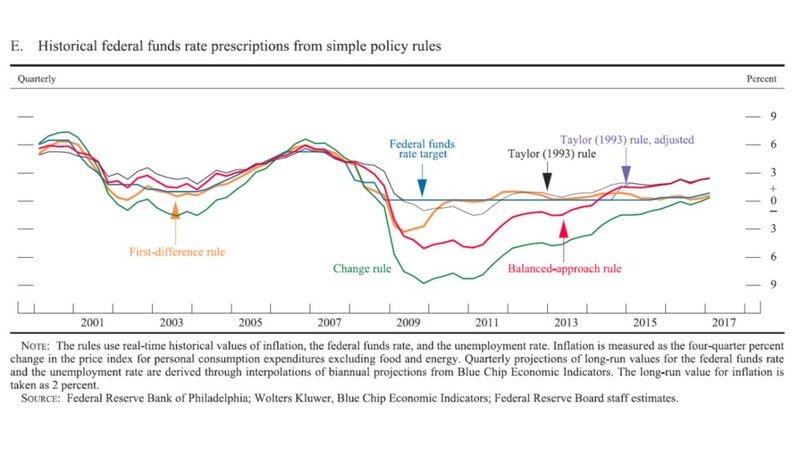 It shows that the interest rate was too low for too long in the 2003-2005 period according to the Taylor rule (not sure if the Fed was looking at the other rules back then), and that according to three of the rules the current fed funds rate should be moving up. 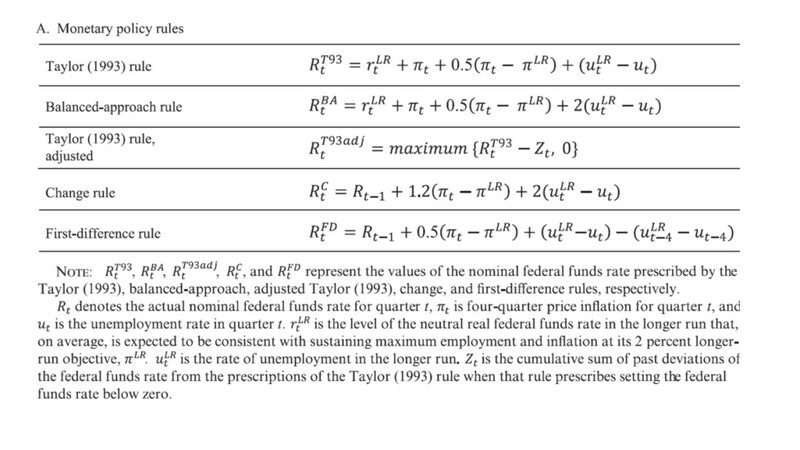 (The Fed makes these calculations using its estimate of time variation in the neutral rate of interest ). In reporting on well-known policy rules, the Fed is doing part of what is called for in the legislation which recently passed the House as Title X, Section 1001 of H.R. 10. However, aside from being positive about the three principles, it does not say much about its own policy strategy in the document as also called for in the legislation. In addition, the report focuses extensively on differences, rather than similarities, in the policy rules, and on the differences in inputs to the policy rules. 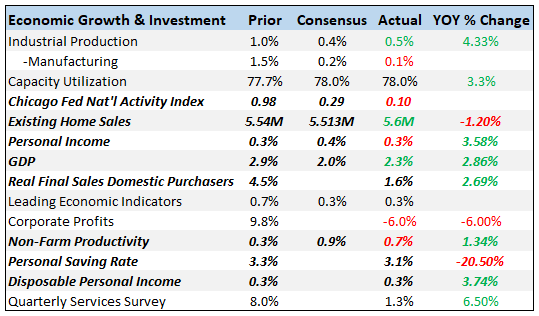 The differences in measures of inflation, the neutral interest rate, and other variables are part of monetary policy making and always will be. 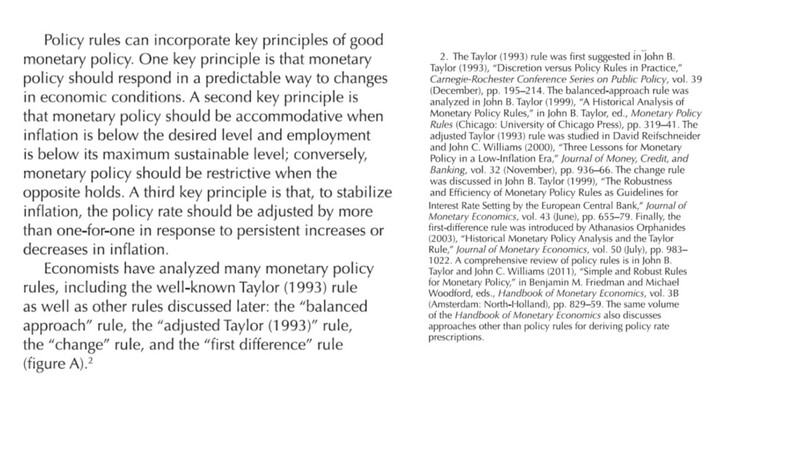 In reality they are a reason to use policy rules as a means of translating these differences in measurement into differences about policy in a systematic way. Such differences do not imply that policy rules or strategies are impractical, as the Report seems to suggest, at least based on some financial reporting. Chair Yellen will testify at the Financial Services Committees of the House on Wednesday and at the Banking Committee of the Senate on Thursday of this week on the Report and other matters. The testimony and the questions and answers about the Report at the hearings will be well worth following. Next Economics 1 Online. No Charge.